American society greatly values individualism and competition. Americans compete against each other in sports, business and academics. Even though people often participate in these activities as part of a team, individual achievement is viewed highly and generously rewarded either monetarily or with respect. The media is saturated with images exalting the individual who pursues his/her desires, often, regardless of the negative consequences it may have on others. The cliché, “rat race,” refers to a difficult situation in which one is forced to intensely compete with others to obtain a coveted goal. According to James Rogers, author of The Dictionary of Cliches, “the rat has such a reputation for ferocity and assertively looking after its interests that the notion of a rat race as symbolic of fierce struggle is a natural one” (214). It seems that Americans have clung to the popular expression because they feel that the two words express in a shortened form, their struggles to succeed in an extremely competitive society. “Rat race” remains in use for a number of reasons, particularly because the American media, particularly the medium of film, continues to create art that incorporates the expression in a very seductive manner. 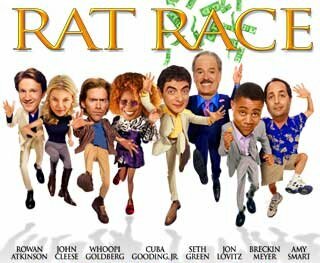 The film Rat Race (2001) was about an eclectic group of people who travel across the country to compete against each other in a contest to win two million dollars. 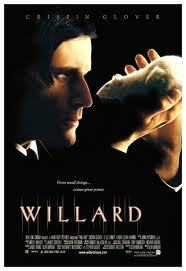 This film uses the dual meaning of “rat race”: it depicts people aggressively competing, and it also shows people coping with the trials and tribulations of their daily routines. Considering that the cliché “rat race” is the film’s title, this indicates that these concepts are important to the plot of the film. 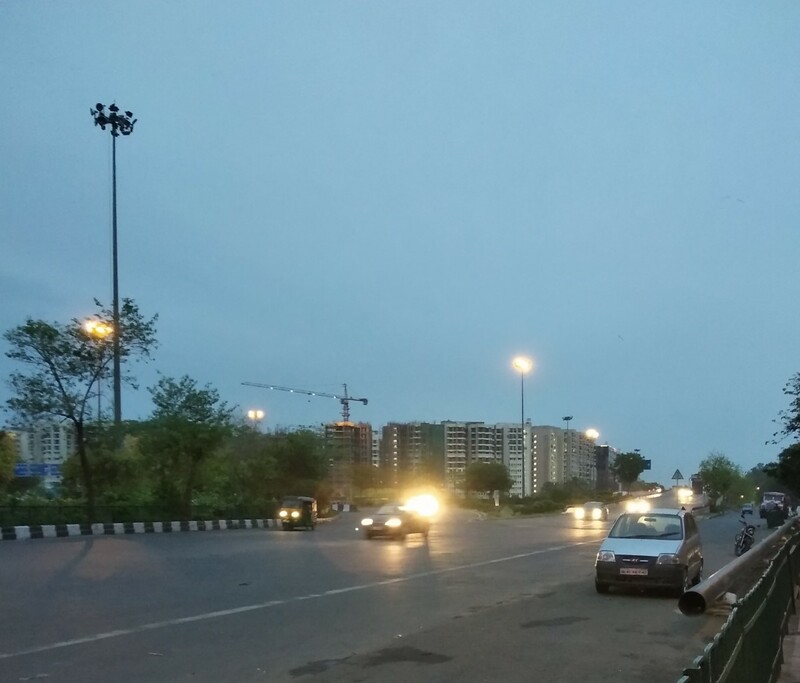 Every member of the eight teams involved in the competition does something to compromise their integrity in order to get to the desired destination. The eight teams vying for the money prize are sick of dealing with their normal struggles in the “rat race” of every day life having to work hard to pay their bills. According to the Encyclopedia Britannica Online in an article about rat behavior, “In the psychologist’s laboratory, the primary method of studying spatial learning has been to put a rat in a maze and watch how it finds its way to the goal box, where it is fed.” Life in America can be very much like a confusing maze in which people of all varying backgrounds are forced to navigate though the twists and turns (emotional and tangible obstacles) in order to obtain the basic essentials necessary for survival (i.e. food, shelter, employment etc.) Typical spatial learning exercises involving rats are executed using T-mazes or Y-mazes. A rat is placed at one end and must find the best way to get to its goal. 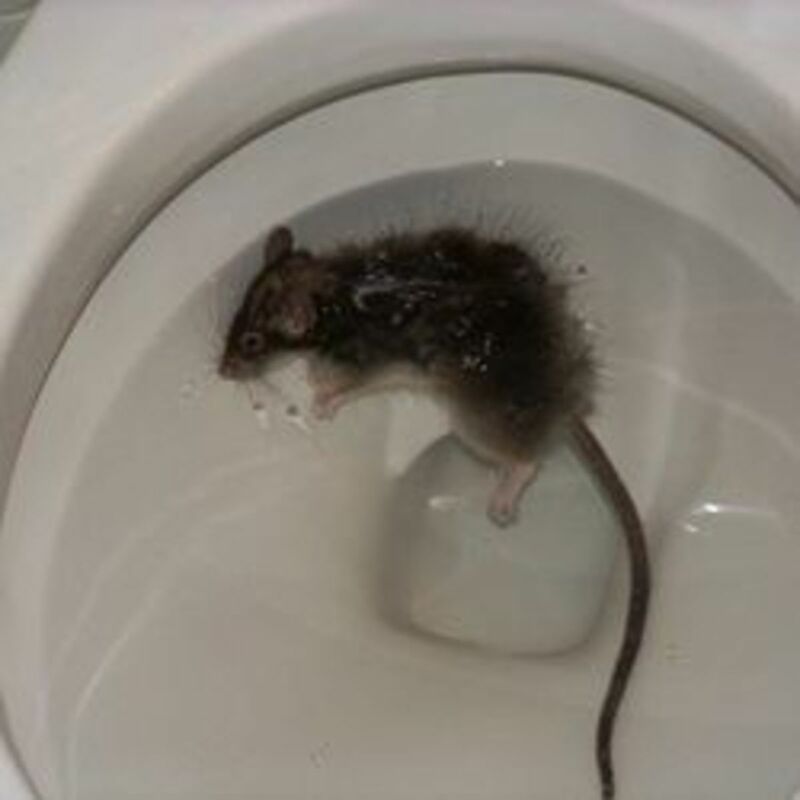 There are three main ways rats go about attaining their goals in these maze exercises. First, “One possibility is that the rat learns to execute a particular response, a left turn or a right turn, at the choice point, because that response is followed by food.” Second, “The rat learns to associate one of the arms with food and hence choose it.” Lastly, “The rat learns to define the rewarded arm not in terms of its own intrinsic characteristics but by its spatial relationship to an array of landmarks outside the maze.” When people approach challenging problems, they are forced to strategically develop plans to meet their own individual survival requirements. Much like rats, people have to learn through trial and error, which approaches are effective and which are ineffective. A cliché that can be linked to “rat race” is “rats abandoning a sinking ship.” The saying originated from an old sailors’ superstition that if rats were seen leaving a ship that the rest of the trip would be plagued by bad luck. Once again, the saying, like “rat race”, refers to rats’ instinctive desire for self-preservation at all costs. 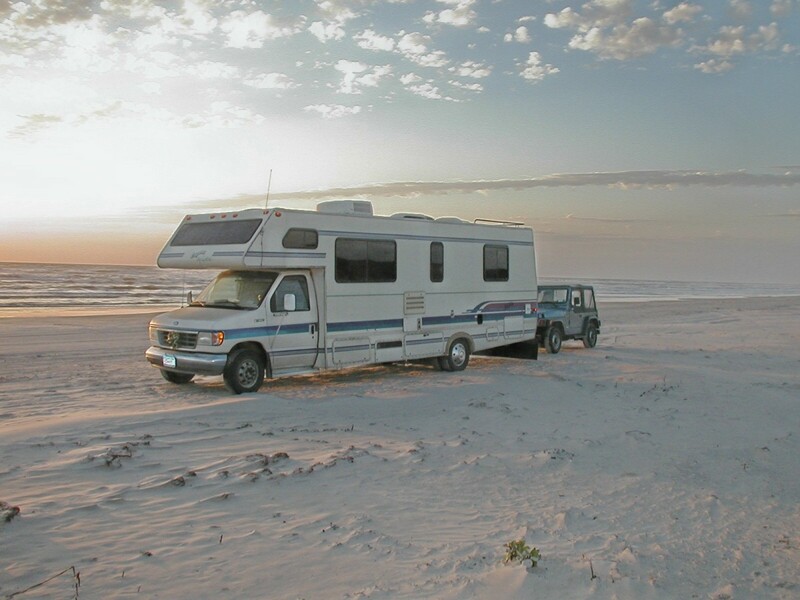 In addition to film, the popular cliché, “rat race” appears in various other types of media, such as: television shows and commercials, magazine ads and radio ads. People of starkly different backgrounds use “rat race” in their speech and writing. I often hear “rat race” used in conversations with people I meet at school and in the workforce. According to Rogers, “rat race” can be dated back to the 1930’s (214). Rogers traces one of the first uses of “rat race” to author Christopher Morley who used it in his novel Kitty Foyle in 1939. Morley wrote, “Their own private life gets to be a rat race” (Rogers 214). Society influences film (and the arts in general.) Film is often a reflection of filmmakers’ emotional responses to current happenings. Film in turn influences society by acting as a mirror to reflect those emotions back at the audience in an alternate, fresh way. 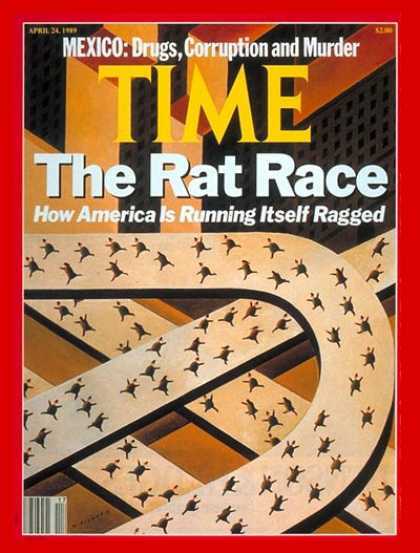 Since America is so obsessed with competition and individuals, the cliché, “rat race” occurs often in popular culture. Popular culture, in this case, film, causes the cliché to spread and reinforce individualism then it returns again in the form of film. So as long as the cliché, “rat race” keeps circulating through this society to film, film to society cycle, as well as the other branches of media, it will remain a part of American culture.